WESTERVILLE, Ohio (AP) — Police in central Ohio say a man who accidentally caused a fatal fire won’t face criminal charges after investigators couldn’t determine whether he was impaired by marijuana at the time. Sarver’s mother, her roommate and the roommate’s 20-year-old son escaped the blaze. The Columbus Dispatch reports Westerville police Lt. Charles Chandler says the fire started after the 20-year-old began cooking french fries in the kitchen and then fell asleep in the basement. Chandler says that while the man tested positive for marijuana, investigators couldn’t show how impaired he was when the fire started. YOUNGSTOWN, Ohio (AP) — An aide and longtime supporter of the late U.S. Rep. Jim Traficant has pleaded guilty to stealing more than $100,000 from an elderly woman with dementia. The Vindicator reports 70-year-old Linda Kovachik, of Youngstown, pleaded guilty Thursday to felony theft. Prosecutors say four counts of forgery were dismissed in a plea deal after Kovachik cooperated in a civil lawsuit and helped the 76-year-old woman recover money from a bank. Prosecutors say they’ll recommend that Kovachik be sent to prison at sentencing on Jan. 18. The newspaper reports that Kovachik’s attorney doesn’t agree with that recommendation. Kovachik worked for Traficant from 1985 until 1990 and from 2000 until his expulsion from Congress in 2002. Traficant died in 2014 at his farm outside of Youngstown after a tractor tipped over on him. COLUMBUS, Ohio (AP) — State leaders and criminal justice experts are launching a new effort to reduce Ohio’s prison population through an examination of crime, courts, probation and incarceration. A yearlong study will analyze thousands of records to examine how sentences handed down for serious crimes affect prison populations and life after prison. 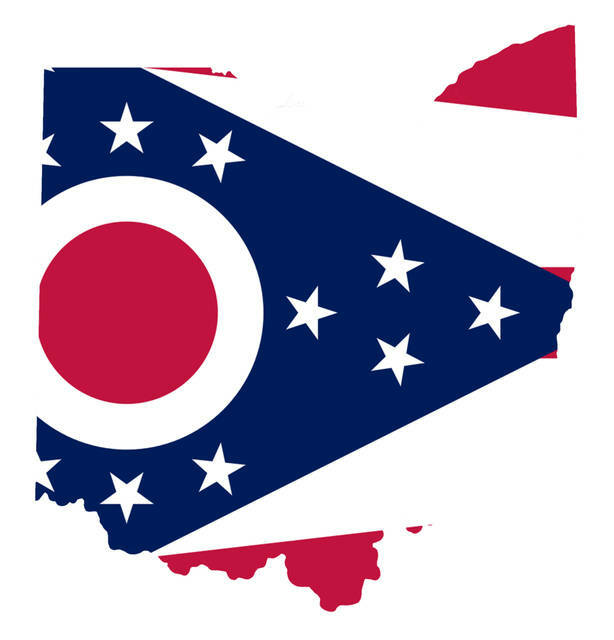 The Ohio Justice Reinvestment Committee announced the study Thursday, to be conducted by the Council of State Governments Justice Center. A similar effort was launched in 2011. That initiative had mixed results, in part because of the impact of Ohio’s opioid crisis along with pushback from judges and prosecutors. The state’s prison population has leveled off in recent years, with about 50,000 inmates currently, down from a record high of 51,273 in November 2008. CINCINNATI (AP) — Police say it appears that two people were fatally shot and a third committed suicide at a home in Cincinnati. The shootings were reported late Thursday by a relative who found the bodies and called 911. Police have described them as a woman in her 50s and a man and a woman in their 30s. All three reportedly are related to each other. COLUMBUS, Ohio (AP) — An Ohio man has died after the forklift he was operating tipped over on him just days before his wedding. The Columbus Dispatch reports that 51-year-old James Saffell, of Columbus, was pronounced dead at the scene of the accident Thursday afternoon at a Thrift Stores of Ohio warehouse in Columbus. A man at the scene who said he was Saffell’s brother told the newspaper that Saffell was supposed to get married this weekend to his longtime girlfriend. The federal Occupational Safety and Health Administration is investigating. TROTWOOD, Ohio (AP) — Four people have been shot including a child at a suburban Dayton home. Police in Trotwood say the shooting occurred around 1:30 a.m. Friday. Three men were taken to a hospital where they underwent surgery and are reportedly in serious condition. The child was taken to a different hospital for non-life threatening injuries. Police say the shootings occurred after a fight inside the home and that the shooter and victims knew each other. Initial reports said the shootings occurred at two houses on the same Trotwood street. CUYAHOGA FALLS, Ohio (AP) — An Ohio city is testing a new program that involves slipping GPS trackers into various objects, such as purses and packages, and monitoring them for potential thieves. The Akron Beacon Journal reports Cuyahoga Falls police officers will monitor the trackers nearby on a cellphone app. The app makes a noise when the tagged item is moved. Democratic Mayor Don Walters says he was inspired by the program’s success in other cities around the country. Walters says he and Police Chief Jack Davis hope awareness of the program will stop people from stealing in the first place. Davis says the program does not qualify as entrapment since no one is specifically targeted and no one is encouraged to steal the items. He says the devices will be used year-round. COLUMBUS, Ohio (AP) — Ohio State University has accused 83 undergraduate students of cheating on classwork using a group messaging app. A university spokesman says the use of group messaging apps is permitted, but is subject to the same rules as any other communication. The university’s Committee on Academic Misconduct investigated after a professor in the business school reported the allegations in April. Potential penalties range from warnings to expulsion.